Newcastle have signed Miguel Almiron and Antonio Barreca - and manager Rafael Benitez is delighted to have the versatile duo on board. Rafael Benitez believes the January transfer window should be reduced to 15 days in order to avoid “distractions” from football. 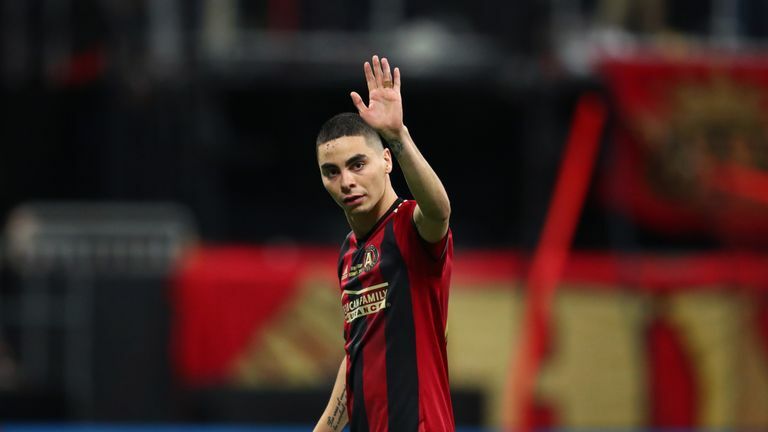 Newcastle broke their transfer record to sign Paraguay midfielder Miguel Almiron from MLS side Atlanta United on Deadline Day, while defender Antonio Barreca also joined on loan from Monaco. However, Benitez is unhappy with how long the second transfer window of the season lasts for, at a time of the campaign when he would rather be focusing his attention on matters on the pitch. "The good thing is we have finished. We were talking in August about when the [summer] transfer window would close and we said 'before the competition started'," Benitez said ahead of Saturday's game with Tottenham - live on Sky Sports. "January is exactly the same, so I think January can be shorter. In 15 days you can do business, because then you can concentrate on football. "When you have one month and are [also] playing six, seven games, you can get distracted. So I think it is another point for the future, to reduce the transfer window in January to 15 days." Benitez's long-term future at Newcastle was rumoured to have been dependant on how much - or how little -business the club did in January but he insists that was never the case. "People were saying, 'if you don't sign two players, Rafa will leave, or he will not sign a contract extension.' I did not say that," he added. "Balance is the key. You have to stay calm. We have a massive game to play tomorrow, then we have plenty of time to talk about the future." As for his two new signings, Almiron is ineligible for Saturday's game at Wembley as he awaits his work visa but Barreca is in contention to play some part. "They come here with a real desire to do well," Benitez said. "Almiron can play in different positions - as a No. 10, as a winger - and he is an offensive player with pace. "Barreca is another good option. For a while, we have been looking for a player on this side. "I use a word that is crucial to me: balance. These two players give us something we didn't have. We needed to fill some gaps in terms of positions and characteristics of players. Highlights from Newcastle's win over Manchester City in the Premier League. "They are offensive players and they play in positions we needed players. If they can give us what we are expecting, we will be in a better position. "The players come with a real desire to do well and with these two players, it means the other players have to compete. "We also have players coming back from injury, so for the next 14 games we are better equipped. "We are in a better position [than before the transfer window], so I have to be happy."